Musings Of An Ink Addict: Have Fun! Do you know what today is? 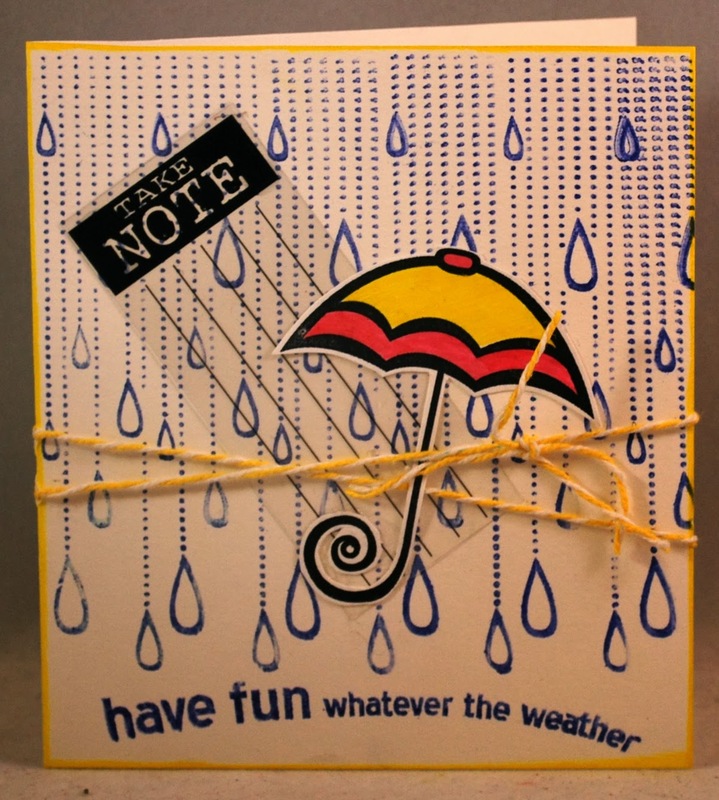 Umbrella Day, which is in honor of one of the world's most invaluable inventions. So in honor of this day, I have a really fun and colorful card. So let's get started, and I'll show you how it's made. I started with a 4in x 4in card. 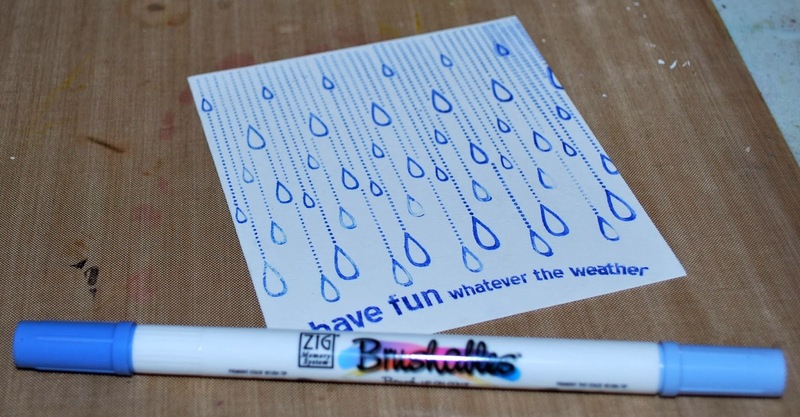 I inked a background stamp with my Zig Brushables pen and stamped the cardstock. The color of the pen? Splash! Very fitting for this card. 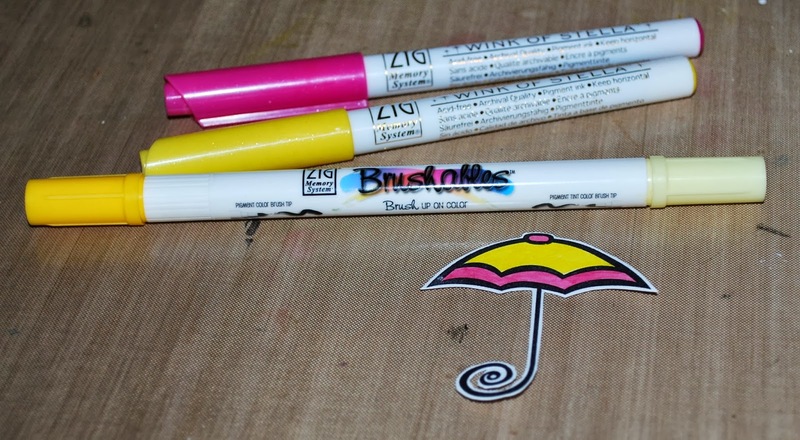 Next, I stamped my umbrella using a Black Zig Writer, then colored it with my Brushables and Wink of Stella pens. Lastly I simply cut it out. 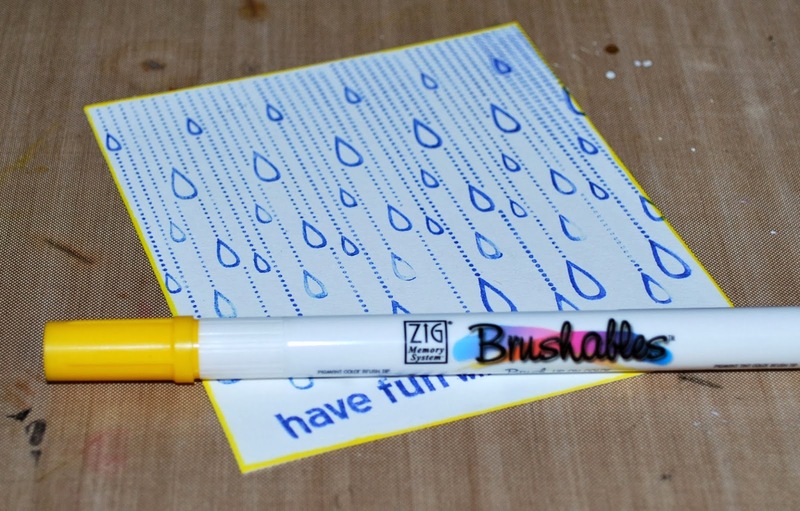 Using the Yellow Brushables pen, I edged the card with ink. Now, it's just a matter of putting it all together. I simply added a small transparency and some baker's twine.